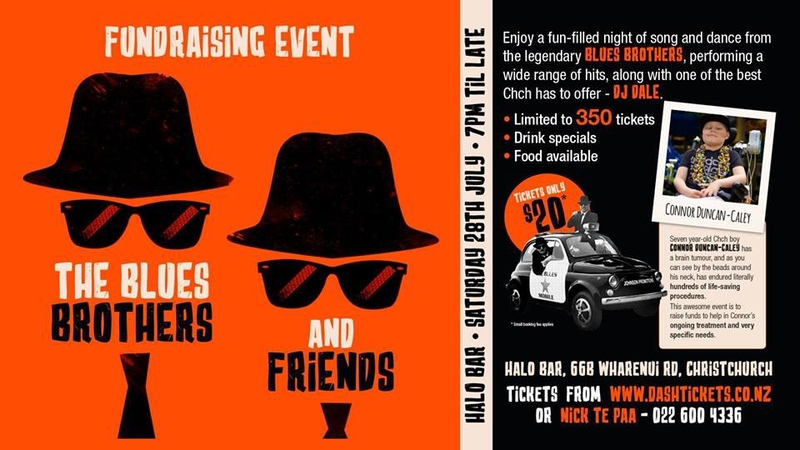 The Blues Brothers & Friends Cabaret Act have reunited to help raise money for a wee fella fighting a big battle. The BLUES BROTHERS & Friends have Reunited again along with DJDALE to help a Young Man CONNOR DUNCAN-CALEY. Connor has a brain tumour, and as you can by the beads around his neck he has endured literally hundreds of life-saving procedures. This Awesome event is to raise funds to help Connor's ongoing treatment and his very specific needs. PHYSICAL TICKETS AVAILABLE NEXT WEEK !! !